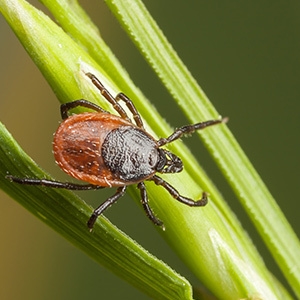 Lyme borreliosis, more commonly known as Lyme disease, is a bacterial disease spread through tick bites. The symptoms of Lyme disease often return after the completion of mainstream treatments, leaving patients stuck with debilitating and painful symptoms for months, or even years. At Ozark Holistic Center, we’re committed to helping our patients diagnose and create a Lyme treatment plan using natural and holistic approaches that address the most fundamental aspects of the disease. If you need tick testing or an evaluation of your symptoms, then please get in touch with our wellness center today to book an appointment, and keep reading below to learn more about Lyme. As we noted above, Lyme is an infectious bacterial disease that is spread by ticks. Roughly 30,000 new diagnoses are reported to the Center for Disease Control and Prevention every year, though it’s likely that the actual number of cases is significantly higher. The CDC is well aware that not every case of Lyme is reported to them, and it’s been suggested that the actual number of yearly cases in the United States is closer to 300,000. Further, many cases have co-infections of Babesia, Bartonella, Rickettsia, and other harmful bacteria. While the majority of Lyme cases were previously located in the Northeast United States, cases of this troubling illness have been reported in all 50 states. In fact, California and Florida experienced the most significant increase of positive cases between the years 2015 and 2017. Moreover, the facts and figures we do have from the CDC suggest that the incidence of Lyme has increased by more than 80 percent between the years 2004 and 2016. Many Lyme patients are treated with antibiotics, though many patients still experience the intense and life-disrupting symptoms long after the antibiotics have been taken. There are many different tick species in the United States (more than 80, in fact), but black-legged also known as deer ticks are by far the most common species carrying Lyme. Ticks can quickly transmit the disease quickly, making it essential to remove and test for Lyme immediately. Adult ticks are roughly the size of an apple seed, but larvae and tick nymphs are small and roughly size the size of sand grains and poppy seeds, respectively. Ticks typically live in heavily wooded and grassy areas, attaching themselves to clothing and backpacks as humans walk by. The fact that ticks are so small and the fact that their bites are almost always painless make it incredibly difficult to notice an embedded tick. If you find a tick on your body, then you need to take care when removing it. Removing a tick is not easy due to their small size, but gently pulling the tick out by the head is the by far the most effective method. Be sure that you do not pull the tick out by its body, as this can push the tick’s fluids — and potentially Lyme disease — directly into your bloodstream. Once you have removed your tick, please bring it to our holistic health center for tick testing. The symptoms of Lyme disease typically appear in gradual stages. If you’ve been bitten by a tick, then you can expect a small bump and a reddish discoloration of the skin to occur within a day or two of the bite. This is completely normal, and you should expect the bump to resolve over a period of several days to a week. A red bump does not necessarily indicate the presence of Lyme, but you should watch the area closely over the next month to ensure that a rash does not develop. One of the most prominent symptoms of Lyme disease is a bulls-eye rash that appears near or on the site of the initial bite. This symptom occurs in less than 40 percent of infected patients, and while the affected area may feel warm, it’s typically not painful. The rash will have a circular area of normal skin surrounded by a circular rash that expands up to 12 inches in diameter. You may develop this symptom in multiple areas, so watch your body closely if you’ve recently been bitten by a tick. You should also be watching for the following flu-like symptoms during the first 30 days after a tick bite. It’s important to note that you may experience, some, all, or none of these symptoms, as everyone responds differently. While all of the symptoms of Lyme are troubling, neurological problems are by far the most serious. Some patients experience muscle loss in the face, leading to facial paralysis on one or both sides of the face. This symptom is also known as facial palsy. Other neurological symptoms include swelling of the brain and spinal cord, insomnia, personality changes, short-term memory problems, and depersonalization. If you think that you’re experiencing the symptoms of Lyme disease, then please get in touch with our wellness center immediately for support. As you may have noticed, many symptoms of Lyme disease are also symptoms of less concerning conditions like the flu; in fact, Lyme is often referred to as “The Great Mimicker.” Almost all of the recommended Lyme tests have high false-negative rates, making it difficult to know for sure if you have been affected. Many patients pursue treatments for the common cold, fibromyalgia, arthritis, and other ailments before realizing that their symptoms are being caused by untreated Lyme disease. The majority of patients suffering from Lyme disease are treated with antibiotics once they’ve been properly diagnosed, though it’s becoming less and less clear that antibiotics are an effective course of treatment. We noted earlier that Lyme disease often goes undiagnosed until it’s reached a severe stage, and this is often the point at which antibiotics are no longer effective. Patients may feel a brief period of relief, only to discover that their symptoms return months or years later. This is known as post-treatment Lyme disease. The bacteria transmitted to the body through tick bites make their way into the body’s tissue, cartilage, and microbiome, making it incredibly difficult to fully eradicate them using antibiotics. Moreover, frequent antibiotic use disrupts and weakens a body already compromised by Lyme disease. You’re not alone if you feel like fighting Lyme disease through the medical system is a losing battle. Many people are referred to expensive specialists and put through multiple life-disrupting treatments before turning to holistic Lyme disease treatment plans that directly target foreign microbes in the body. At Ozark Holistic Center, we utilize a combination of dietary changes, supplements, and herbs to directly target the microbes causing your symptoms. We live in toxic environments full of inflammatory chemicals that only serve to exacerbate symptoms, and our mission to address every aspect of your health and wellness. Humans have depended on plant medicine for thousands of years, and unlike harsh antibiotic treatments, herbal therapy can be used for extended periods of time without negative side effects. Moreover, herbal therapy is often beneficial for those who have had their immune systems compromised by previous medical interventions. By reducing inflammation throughout the body, the immune system can stop attacking the body and begin to function normally once more. Herbs are also synergistic, meaning that they can be used safely — and often more effectively — in conjunction with one another. 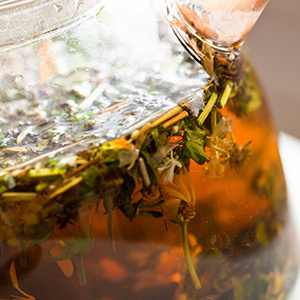 Though it can take several weeks or months for symptoms to subside, herbal therapy is an essential component of an effective Lyme treatment strategy. Please understand, we are not promising a cure or anything of the sort, but we recognize that herbal and other therapies which we offer are quite effective in supporting clients who have Lyme Disease. In addition to herbal treatments, lifestyle and dietary changes are often important components of successfully treating the underlying symptoms and causes of inflammation. The foods we eat are often filled with toxic pesticides and artificial ingredients that not only have little or no nutritional value, but also cause significant problems throughout the body. When you come to our holistic health center for support, we’ll help you develop dietary habits that heal the body and promote your well-being. We’ll also recommend a supplement regimen that is designed for your specific circumstances and addresses your specific needs. For many people, regular doses of a vitamin B complex, omega-3 fatty acids, glucosamine, and other supplements support a healthy immune system and can aid in the relief of the severe symptoms caused by late-stage Lyme disease. Choose Ozark Holistic Center for an all-encompassing and effective Lyme disease treatment plan. We seek to support all our clients needs and help them in whatever way we can, working closely with other professionals if need be. Ticks love tall grass, so make sure that your lawn is well-kept and sheared throughout the year. Lyme disease is transmitted from mice, so do your best to remove possible havens for mice around your yard. Clean up organic waste, remove piles of wood, and make sure that the rocks in your yard are level. Avoid exposing your skin in tall grass and heavily wooded areas. Stay on designated trails whenever you’re in the outdoors. Use all-natural insect repellent. Many commercially available tick repellant sprays contain harmful chemicals, so choose your repellent carefully. Thoroughly check yourself for ticks after you’ve been outdoors, making sure to feel behind your knees, in your hair, and behind your legs. Have a trusted friend or loved one check hard-to-see areas if you can’t reach or see a certain area. If you discover that you’ve been bitten by a tick, then bring it to our Fayetteville wellness center for testing and an evaluation. Why Choose Ozark Holistic Center? At Ozark Holistic Center, many of our patients come to us after months or years of unsuccessful medical interventions for a variety of conditions. We recognize the uniqueness of every individual who walks through our doors, and we always have your best interests in mind when developing your personalized treatment plan. Dr. Orie Quinn and Dr. Gabriel Ariciu are effective healers because they have both suffered and successfully recovered from chronic health conditions. Dr. Quinn suffered from daily seizures and fatigue before turning to alternative medicine for a solution. 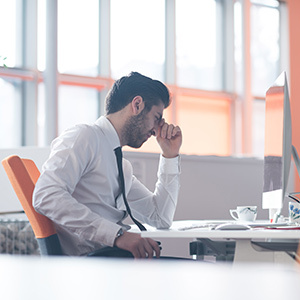 Dr. Ariciu experienced excruciating migraines caused by a previously unknown gluten sensitivity. What do both of these men have in common? They treated the underlying causes of their conditions instead of simply addressing and masking the symptoms. It turns out that this strategy is effective for treating a variety of conditions, including thyroid problems, autoimmune diseases, chronic fatigue, depression, and other serious afflictions. Together, Dr. Quinn and Dr. Ariciu have helped hundreds of people successfully treat chronic and stubborn conditions that resist conventional treatments. We can begin to treat your symptoms by discovering the fundamental causes of any health condition, and Lyme disease is no exception. If you have been suffering from the symptoms of Lyme disease, or think that you may have this condition, then please book an appointment with our holistic healing center today. We’ll review your symptoms and formulate a personalized treatment plan that promotes your health and well-being. After we’ve successfully treated your condition, we’ll have you come in for occasional wellness visits to ensure that new symptoms haven’t developed. Your body is a complex and interdependent system that changes every day, and coming in for a quick check-in is a great way to ensure your long-term well-being. We look forward to helping you take the first steps toward a healthier and happier life. Are You Suffering From the Symptoms of Lyme Disease?